Nordic Aquafarms expects to submit an application for a Maine Pollution Discharge Elimination System (MEPDES) Permit, in the next month or so. Ahead of that submission, we will be holding the first required public information meeting for the application. This meeting will be the first of several: one is need for each of the major applications to the Maine Department of Environmental Protection. We expect to hold this meeting during the last week of September, or the first week of October. As required by DEP regulations, we will send notices to abutters and publish them locally. We will also send out an alert about the meeting to people and organizations who receive this newsletter. At the public information meeting, we will present a summary of the work done to bring the project to the permitting stage and what permits are required. We will also provide written data detailing the planned discharge numbers, as well as the technologies used to achieve them. The meeting provides an opportunity for people to ask us questions about the MEPDES licensing process, timeline, and discharge. We are setting a wastewater new standard for the fish farming industry. Our planned application will propose discharging the treated wastewater about a kilometer off shore. However, before discharge, we will treat wastewater to reach the best environmental profile per pound of fish produced, that has ever been documented in industry history. Why are we investing in such high levels of treatment? Because we recognize that our oceans are under tremendous pressure and that we have an obligation to be responsible stewards of our ocean resources, in Maine and around the world. Limiting the amounts of nutrients discharged, determining how they are diluted in the ocean and assessing environmental impacts, if any, have all been key priorities for Nordic Aquafarms in planning our facility and preparing this application. We recognize that some may have questions regarding the planned discharge as land-based farming on this scale is new in Maine. Maine has an opportunity to be home to a “best in class” operation when it comes to environmental profile. We have gone above and beyond in ensuring a minimal impact from our operations. As we will discuss in much greater detail after submitting our applications to the City of Belfast and to the DEP in our Site Location of Development Act and Natural Resource Protection Act application packages, we acquired an additional 14 acres of land for the project area. The additional land will allow Nordic Aquafarms to establish optimal buffers between our facility and the nearby trails, dam and reservoir, and to ensure that we are compliant with set-back requirements and fire codes. The footprint of the facility itself and the overall production capacity remains unchanged. Road access to the facility will remain at the existing Belfast Water district entrance on Northport Avenue. The facility will be surrounded by green buffers, and where appropriate, we will construct mounds and plant trees on these to minimize visual impact of the facility. The facility will be built in two phases of development over the next six to seven years. The initial option for Nordic Aquafarms’ ocean intake and discharge pipes was through the Little River. However, we considered this to have more environmental impacts than other potential options. We are pleased that as a result of negotiations this summer, we have secured an easement through a neighboring property across Route 1 that faces the ocean. This option gives us the shortest route to deep water, and underwater surveying shows that other ecological impacts are much lower than the Little River route. We bury all pipes below the surface, so that they are not visible or noticeable to project neighbors or the community. More information about these options will soon be available in our upcoming permit applications, at the federal, state, and local levels. Construction at the new Nordic Aquafarms office on High Street in Belfast has recently been completed. Educational materials for the office’s public display area are still being finalized, but visitors are welcome to stop by to say hello and learn more about the project whenever staff are present. Ed Cotter will be joining Nordic Aquafarmsas Project Director. He will oversee engineering, design, and construction for the Belfast facility, as well as other follow-on projects. Ed joins NAF from Gilbane Building Company, where he spent more than 12 years building complex commercial, institutional, and infrastructure projects. 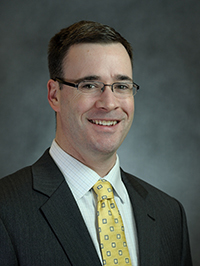 Born and raised in Boston, Ed received a bachelor’s degree in Ocean Engineering from the University of Rhode Island, and has spent much of his career in design, construction, and oversight of coastal projects throughout southern New England, work that has included permitting, environmental reviews, and site logistics. Beyond work, Ed enjoys spending his time with his family, as well as being on the water as much as possible, whether sailing, spending time at the beach, or just enjoying life on the coast. Our future grow-out manager for the Belfast farm will be Cathal Dinneen. Cathal is widely recognized as one of the most experienced RAS farmers in the world, with more than two decades of land-based farming in Canada, Iceland, Ireland and Norway involving a variety of different species. 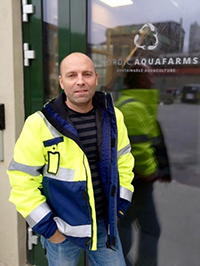 Cathal has undergraduate and Masters’ degrees in aquaculture and managed the high profile ‘Namgis First Nation Kuterra land-based project in British Columbia, before moving to Norway to be part of Nordic Aquafarms’ ground-breaking facility in Fredrikstad, where he is currently project lead. Cathal and his family are Irish nationals and are looking forward to moving to Maine next year. 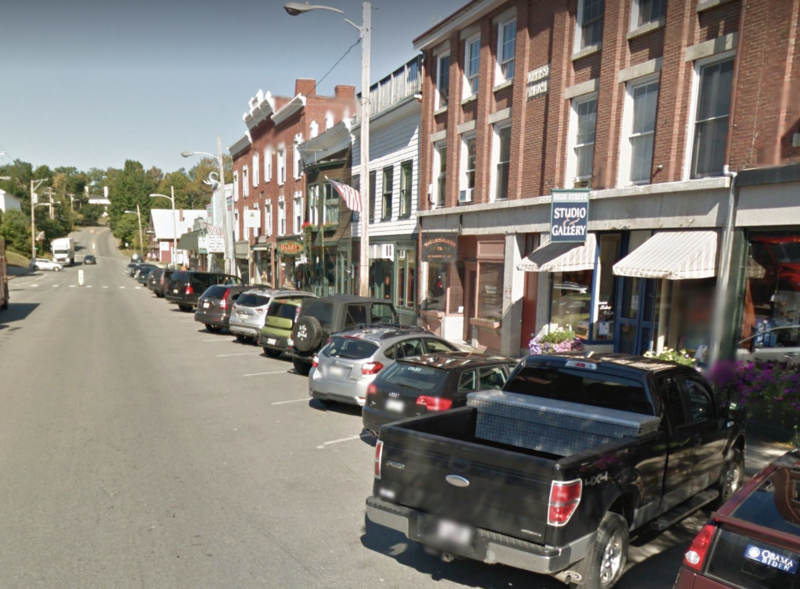 As previously announced, Erik Heim, NAF founder and CEO, and Marianne Naess, director of operations, are moving to Maine at the end of the month and look forward to becoming Mainers.